From March 30 to April 2nd, 2014 the international Orphan Film Symposium takes place at the EYE Film Institute in Amsterdam. The ninth edition of this biennial event is organised by NYU Cinema Studies and the University of Amsterdam, and is being held in Europe for the first time. The symposium offers a variety of screenings and presentations and begins with a celebratory film concert; the world premiere of the recent preservation of East is West (USA, 1922). The symposium is a gathering of archivists, curators, scholars, technology experts, librarians, collectors, distributors, preservationists, artists, and advocates devoted to screening and studying orphan films: All manner of films outside the commercial mainstream: amateur, educational, ethnographic, industrial, government, experimental, censored, independent, sponsored, obsolescent, small-gauge, silent, student, medical, unreleased, and underground films, as well as kinescopes, home movies, test reels, newsreels, outtakes, fringe TV, and other ephemeral moving images. Rediscovered and recently preserved films, videos, and digital works from around the world will be projected, each presented with context provided by expert speakers and creative accompanists. The theme of Orphans 9 is obsolescence, broadly conceived. More than 50 presenters will address the histories and futures of film and other moving image media. The symposium considers not only technological obsolescence, but also the ways audiovisual media have recorded and deployed ideas, genres, representations, narratives, and ideologies deemed obsolete or outdated. What orphan films document these phenomena? What neglected and orphaned media should we re-view to better understand the world? How should archivists and curators deal with obsolete “new media”? 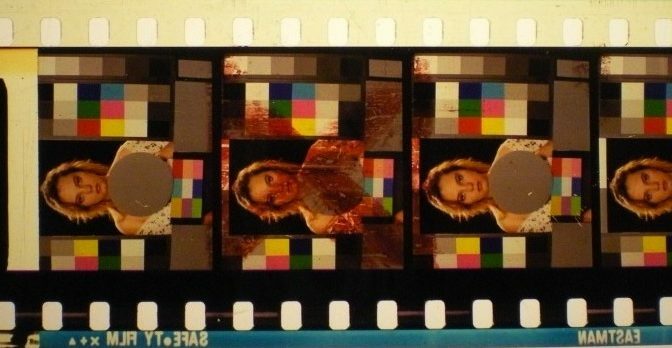 How are citizens transforming remaindered film and video material? How do archives, museums, libraries, and sister institutions participate in remix culture? Events begin on 30th March, Sunday evening with a celebratory film concert; the world premiere of the recent EYE discovery and preservation of East is West (USA, 1922) starring Constance Talmadge, preceded by the short films by Maarten Visser. Monday, Tuesday, and Wednesday events run from morning through late evening. Attendance is open to anyone, but advanced paid registration is required. Seating is limited. Fee of 250$ (125$ for students) gives access to all screenings and presentations; catered meals and breaks, and a registration packet. Please register at www.nyu.edu/orphans.